Dentist Dr Jessica Filipiak has provided dental care for our community since 2010. She opened Kinross Drive Dental in 2018, offering an array of solutions to our family-friendly area. Children, mums, dads and seniors can find general, cosmetic and restorative dentistry as well as orthodontics and sleep dentistry in our practice. Our goal is to ensure that you have a healthy mouth free from pain and dental problems. We believe in a high level of customer service so that you can have a positive experience at each of your visits with us. 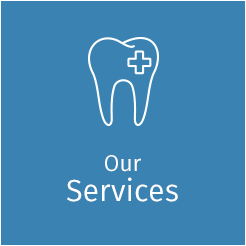 We’ll personalise your treatment to suit what you seek to get from your dental care. In a friendly and caring environment, our experienced, gentle team will make sure that you reach your desired outcomes. You’ll have every advantage that the most up-to-date dental equipment and technology offer. We have digital X-rays, digital OPG, The Wand® anaesthetic delivery system, nitrous oxide sedation, intravenous sedation and oral sedation available. Only local Australian laboratories are used for our dental products, and with a modern sterilisation tracking system and infection control, you can rest assured that your safety is of utmost importance to us. We accept all health funds and participate with Bupa and Medibank. The Child Dental Benefits Schedule and Department of Veterans’ Affairs can also be used. Contact us today to book your time!